Partly to mostly cloudy. Low 58F. Winds SW at 5 to 10 mph. The past few seasons have seen several Gordon Lee High School baseball players sign on to play at different levels of college, including NCAA Division I and Division II. And the cupboard isn’t bare yet. The Trojans’ next big prospect is rising senior catcher Dylan Minghini, the 2017 Walker County Player of the Year, who helped the Navy-and-White win the Region 6-A championship and get them to the Class A Public School state finals this past season. The 6-foot-1, 190-pounder has the numbers - on and off the field - that get college scouts excited. On the field, Minghini followed up last year’s .430, two-homer, 31-RBI campaign by turning in another huge season at the plate. He hit .385 overall for the year, leading the Trojans in total hits (45), hits with runners in scoring position (30) and doubles (12). He swatted three homers and had a team-high 39 RBIs from the clean-up spot in the order. But it was in the state playoffs when Minghini’s star shone the brightest. In nine playoff games, he hit a whopping .520 with seven doubles and two homers, while driving in 12 runs. He also showed off his arm behind the dish by throwing out nearly 30 percent of would-be base stealers on the season. Minghini said he credits those numbers to the extra work he put in during the off-season. “I started working with a personal trainer,” he explained. “I did a lot of weightlifting and I came (to the indoor facility) everyday and worked on my hitting and throwing. I just think I put in a lot more work going into this (past) season. In the classroom, Minghini is also putting up monster stats. His Perfect Game player profile not only shows that he was a 2017 Pre-Season High School All-American Honorable Mention pick, but it also shows a 4.0 grade point average and a 32 ACT score, which are two big reasons why his profile also shows that some big-name baseball and academic powerhouses have an interest in the Gordon Lee standout. “All the positions are important, but you have to have a solid catcher back there,” Dunfee stated. “Dylan is a humble kid who works his tail off and he’s just a great kid to have around. He’s not a real vocal ‘rah-rah’ type of guy, but he will talk when something needs to be said. “He works great with the pitchers and I started letting him call the games behind the plate about halfway through his sophomore year. He’s a smart enough kid to be able to do that and not let it affect his hitting. Some catchers do that and they overthink things when they get up to bat, but it doesn’t affect him. Minghini said he definitely wants to go to college and study engineering and he hopes that baseball will be a part of that college experience. But with another year left to play in Chickamauga, he said he looking forward to doing everything he can to help get the Trojans back into a position to play for and win that elusive state crown. Brady Anderson (LaFayette) The junior got off to a hot start and maintained it all season long, finishing with a .333 average, 10 doubles and 23 RBIs. Ethan Clark (Gordon Lee) The senior and Austin Peay signee was a first team All-State pick by Georgia Dugout Preview after going 9-2 with 83 K and a 3.54 ERA for the Class A Public School state finalist. Kobie Cowan (Gordon Lee) The senior outfielder was solid in the field and at the plate as he batted .333 with seven doubles, a pair of triples, two homers and 20 RBIs. Austin Delay (Ridgeland) A big year for the senior four-year starter saw him hit .417 with five doubles and 24 RBIs and also saw him named to the All-Region (6-AAAA) first team. Ty Fisher (LaFayette) The sophomore collected four of the Ramblers’ wins as he ended the season with 49 strikeouts in 59 innings pitched with a 3.44 ERA. Tanner Hill (Ridgeland) All-Region first team honors were given to the sophomore, who ended the year with a .370 average, eight doubles, three triples, two homers and 12 RBIs. Will Hodges (Ridgeland) The senior was a major run producer for the Panthers as he batted .347 with six doubles, one triple, one homerun and 14 RBIs to earn All-Region honorable mention status. Caleb Hopkins (Gordon Lee) The junior established himself as one of the Trojans’ offensive leaders with a .341 average to go with 11 doubles, two triples, two homers and 20 RBIs. J.J. Lanham (Oakwood Christian) The Eagles’ junior hit a robust .471 with four doubles and five RBIs, while going 2-0 on the mound with 19 strikeouts and a 3.11 ERA. 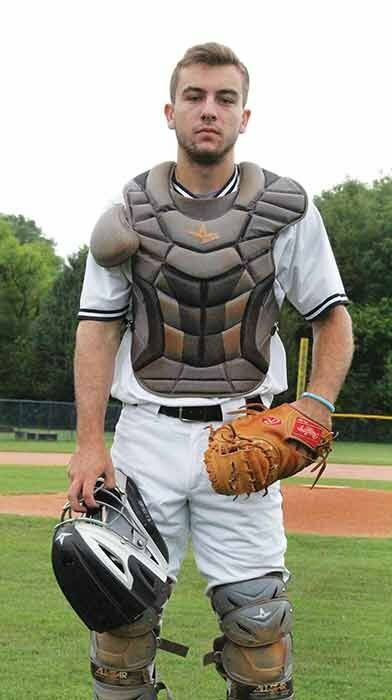 Matthew McDonough (Oakwood Christian) The senior lit up SCAA opponents by hitting .696 with six doubles and two triples, collecting 14 RBIs and getting the Eagles to the conference tournament finals. Noah Peterson (Gordon Lee) The senior’s memorable grand slam in the region title series was part of a big final season as he hit .324 with nine doubles, four triples and four homers, knocked in 31 runs and stole 15 bases. Chaney Rogers (Gordon Lee) Surgery ended his post-season early, but not before the future Georgia Bulldog batted .390 with 10 doubles, a homer and 15 RBIs for the 6-A champs. Logan Teasley (LaFayette) The senior batted .280 with five doubles and 12 RBIs, while earning two wins and fanning 37 batters with a 2.51 ERA before signing with Hiwassee. Austin Thompson (Gordon Lee) The junior had a breakout season by hitting .313 with two doubles, a triple, a homer and 19 RBIs, while going 12-1 with 50 K’s and a 2.36 ERA on the mound. Dylan Wooten (Ridgeland) The senior hit over .400 (.431) for a second straight year and added seven doubles, a triple and 19 RBIs, earning honorable mention honors in the region and the state by Georgia Dugout Preview. The Walker County Dream Team is selected by Sports Editor Scott Herpst based on performance throughout the season. Photo and text by Scott Herpst.